With over 2 decades of combined experience we strongly believe that good customer service is our key to success. We are proud to say that over 50% of our business is gained through customer recommendations and we are extremely happy to be regarded as an approachable building company with a friendly service and high work standards. 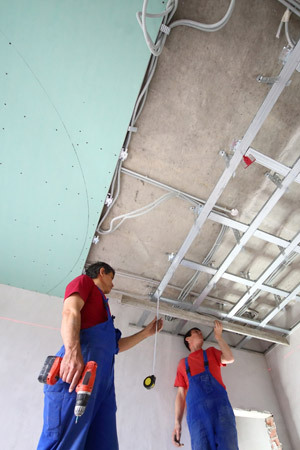 We can provide attractive and cost effective solutions for all your ceiling and partition requirements. Our skilled and experienced specialists team is capable of carrying out complex structural works in both commercial and domestic settings. Incorporating planning, design and installation we handle all aspects of the project from conception through to completion, with dedicated and seamless project management. For more information contact us on 020 8785 1201 or send us an email. We undertake Residential & Commercial refurbishment projects including shops, offices & restaurants across all London postcodes.